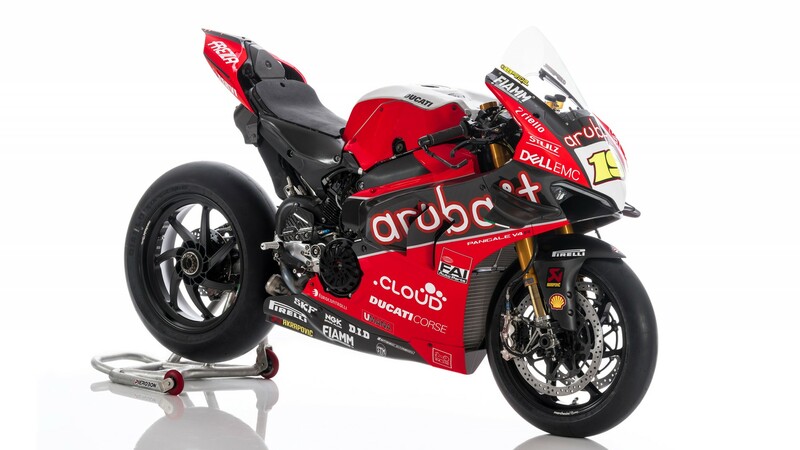 The Aruba.it Racing – Ducati team unveiled the 2019 colours of their all-new Ducati Panigale V4 R during an official presentation that was held at the Aruba’s Global Cloud Data Center in Ponte San Pietro (Bergamo) in Italy in front of their guests and the media. To lift the covers on their all red Ducati beasts were Stefano Cecconi, Aruba.it Racing – Ducati Team Principal, and Claudio Domenicali, Ducati Motor Holding CEO, who also introduced the event remembering the important achievement made by the Panigale R from its debut in 2013 till its last season in 2018, before it will be replaced this year with the first-ever Superbike with a V4 engine produced by the Bologna manufacturer. “Today is the beginning of a new adventure. With the Panigale R we won 28 races and took 107 podiums, but now we are moving forward with a new bike with an engine that brought us already a lot of success in MotoGP™. 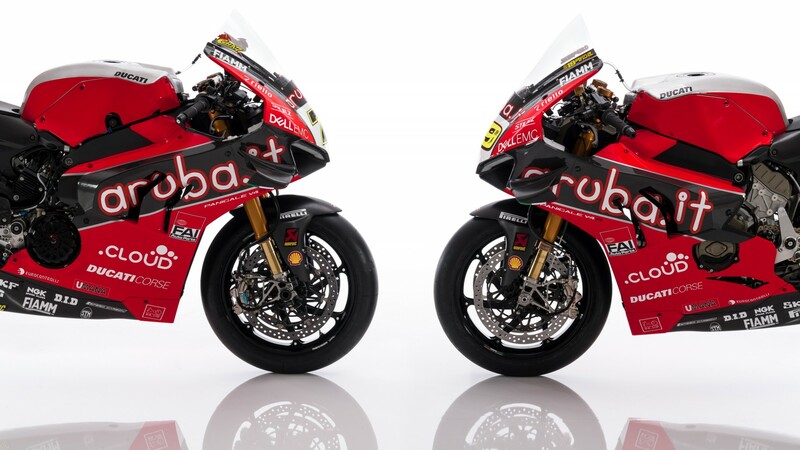 We are happy to continue to develop our Superbike, because it pushes us to produce extraordinary products for the market too” commented Domenicali. 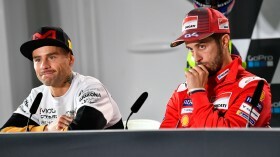 On stage were also welcomed Ducati Corse General Manager Gigi Dall’Igna and Ducati Corse Sporting Director Paolo Ciabatti, who shared his expectation from the new season about to begin: “We believe that we have one of the strongest line-ups in WorldSBK. Chaz has already proved his potential to us, while Alvaro was riding for Ducati in MotoGP™. 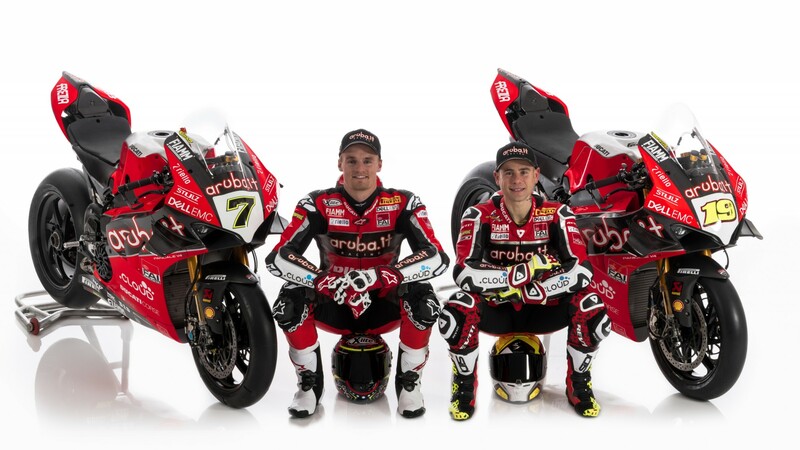 I hope we will finally be able to bring back the title to Borgo Panigale, which has been missing for too many years”. 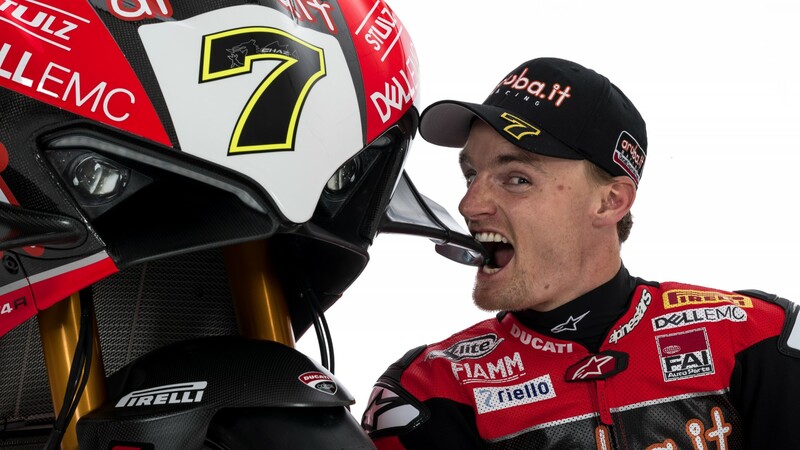 Chaz Davies, who was struggling with back pain at the winter test said that he is now doing physiotherapy to be back at full strength for the first round of the year: “We had our first taste of all the potential of the new bike, and all that we have seen is amazing. 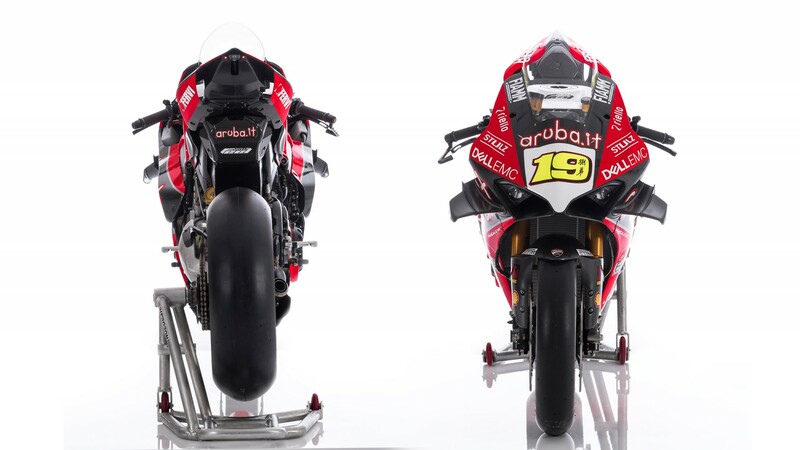 It is difficult to compare the new bike to the old one because this was designed for the track. It is very easy to ride, and I was able to find the feeling with it very quickly. I am very positive, and I can’t wait to race with it”. 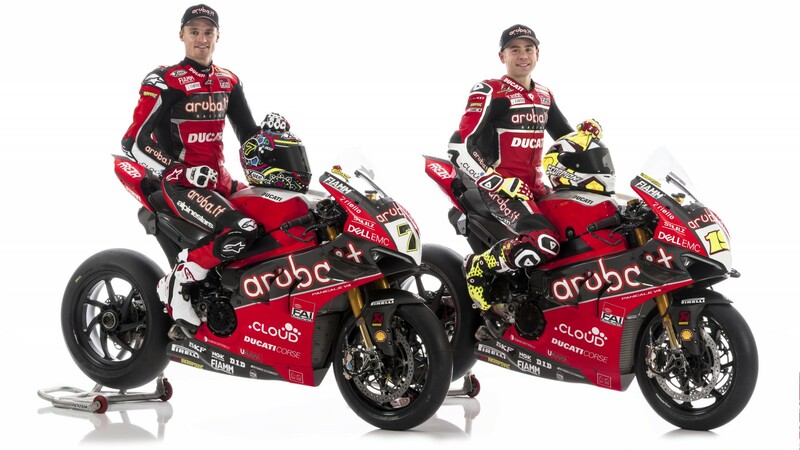 Coming from the MotoGP™ paddock, Alvaro Bautista also commented his first outing with the WorldSBK machine: “After so many years in MotoGP™ now I have a new challenge set ahead of me, and I am really motivated. In Ducati I have found a good family. They trust me, and I am so happy to be here. I hope to get a lot of fun here, and I will try to do all my best. 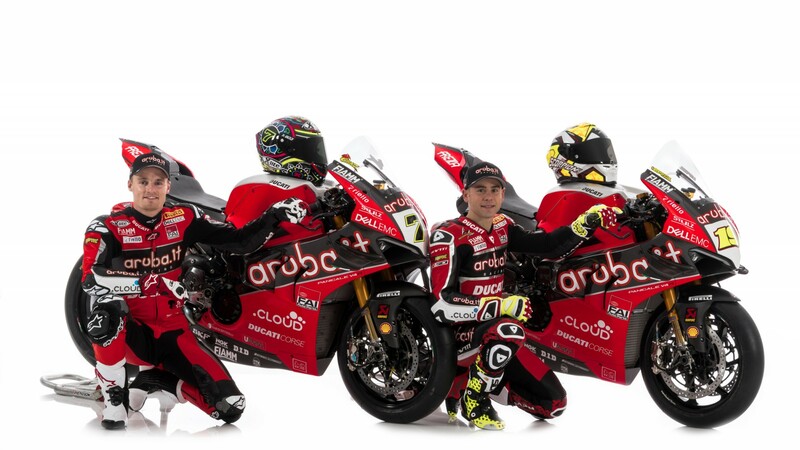 I was really surprised after riding the WorldSBK machine. 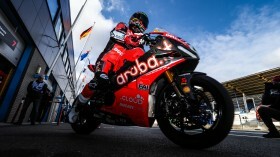 It is very different riding it compared to the MotoGP™, but the lap times are similar. You can be very fast with the Superbike too. Now we will see what it will happen this year”. 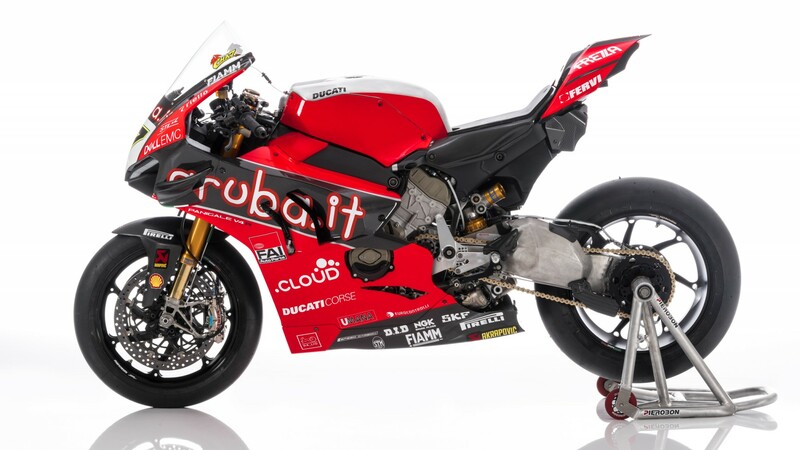 Don’t miss the Ducati Panigale V4 R’s debut in the 2019 MOTUL FIM Superbike World Championship at Phillip Island, all with the WorldSBK VideoPass.